Samsung has been on making steady leaps to ensure it find itself at the top of smartphone sales this year. The Tech giant has also made strides towards giving phone users more display. Not make them carry heavy gadgets about is a big factor right now. The new foldable phones have been widely lauded all over the world now. 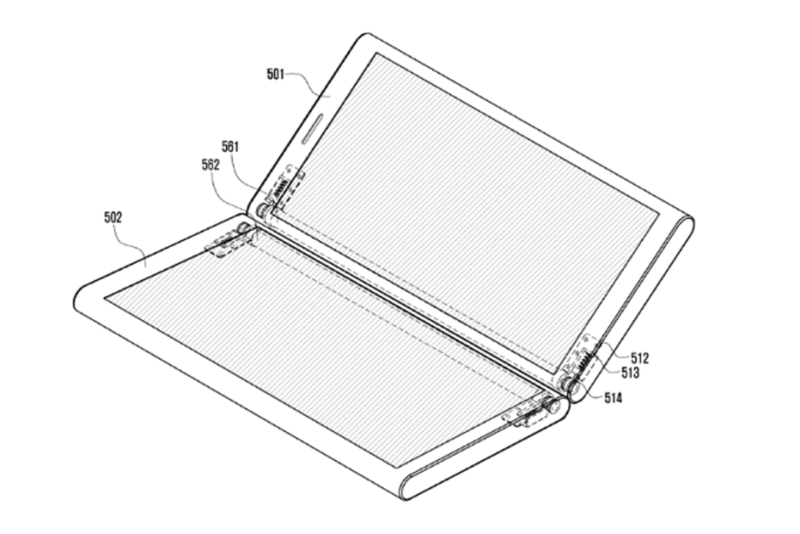 The company’s plan is to give users a grand screen display and have fold it up and slip somewhere with little space. It’s quite safe to say that the Korean company has outdone itself again after acquiring a patent for technology that joins two screens with a magnet. In a report from T3.com the technology when works basically joining two phones together making both phones a single unit. The extra screen makes for a much larger display for users who want to watch a movie or play games. The numerous uses of this feature have not been remotely explored. Interestingly, two different owners of the same model phone could put their phones to watch something together. The separate screens could also possibly perform separate functions like sending a message on one and watching a video on the other. Somewhat cautiously, it was revealed the information was only gotten from the patent document. Hence nothing has come out officially from the company itself so it is still speculation as to whether they are working on this.